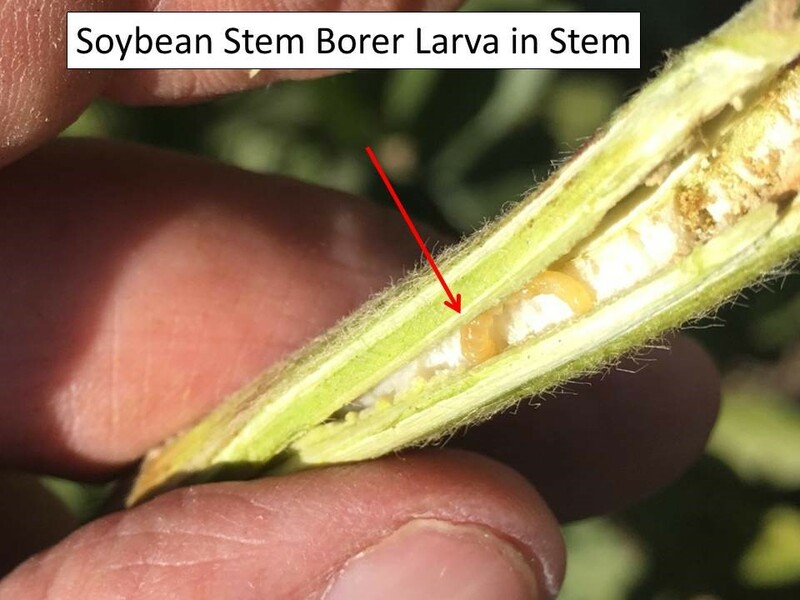 Dectes (soybean) stem borer damage is becoming more and more apparent as soybean harvest is delayed throughout north central Kansas. 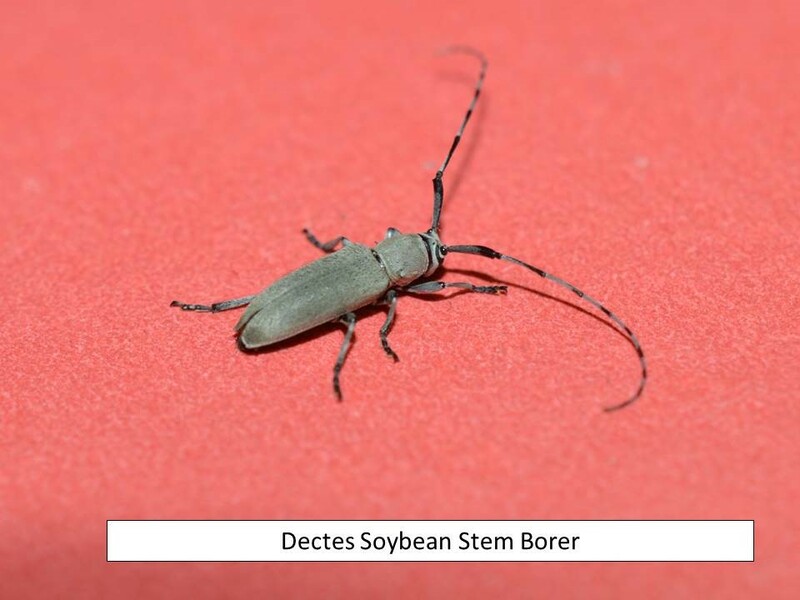 The dectes stem borer was first detected infesting soybeans in Kansas in about 1985 in south central parts of the state. Annually, the adults emerge from soybean stubble, where they overwinter as larvae, around the 4th of July. They mate and deposit eggs around soybean leaf petioles. The small larvae bore into the plants and feed, making their way into the main stem. Dectes stem borer larvae are cannibalistic, so as these larvae come into contact with others only one survives to tunnel down the main stem to the base where they girdle around the interior of the stem, typically just prior to harvest. This girdling activity often goes unnoticed. 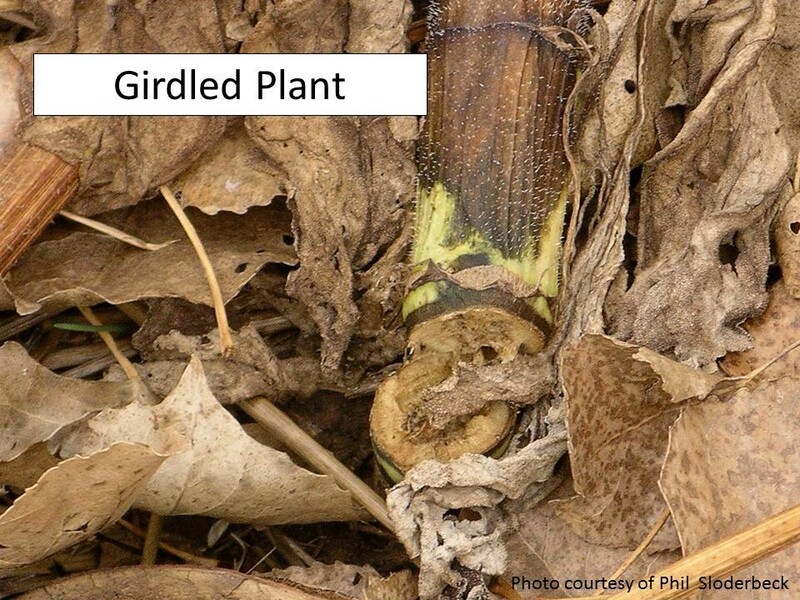 However, the stems are weakened and wind will blow girdled plants over. Fields with significant infestations will have serious lodging, as we are seeing now in parts of NC KS. Harvesting these lodged plants is very difficult at best, and if harvest is delayed further, the grain lying on the ground may be lost to rodents, disease, etc. Infested fields should be harvested as soon as possible, hopefully before any additional lodging occurs! 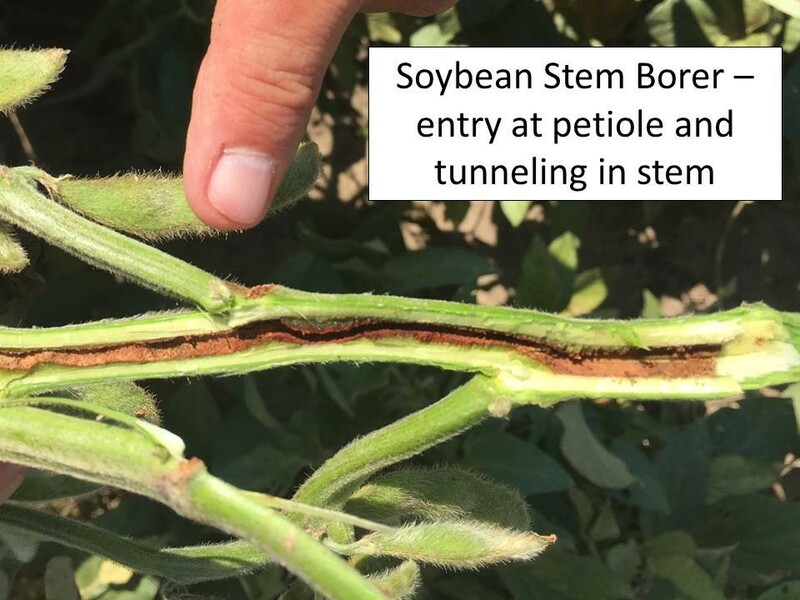 There is no preventative or rescue treatment available for dectes stem borers in soybeans.